Wow, incredibly expensive. But its a limited edition, so, I guess that makes sense. Would be nice to have it. I'm a big fan of ASC. if anyone has a copy for sale, i really would appreciate a reasonable offer. I don't want to feed the sharks on discogs here who want to sell this piece on a disrespectful price far from every reality. so please, get in touch with me. An absolute masterclass in ambient/electronic music!! I don't know how many times I have listened to this in the relatively short period of time that I have owned this superb double CD album, but every time I do this album just keeps getting better and better! In my honest opinion 'Time Heals All' is probably one of the best ambient albums ever made. What the title suggests is exactly what you get. This is emotional, timeless and pure music that really speaks straight from the heart. 'Time heals all' so absorbing and addictive that I can't even remember the number of times I lost myself listening to it in 2013. Thanks Silent Season and James Clements for this wonderful album. Absolute smash. As freefloating as music can be, emotional, timeless, organic. This thing really takes you from one to another end of the universe. Vocals are superb, beautifully crafted, emerging from the distant noise and you wish there was more of it. The beauty of ambient is that it can shift you anywhere without using the sense of physical movement. So laid back and start the journey - each time it will take you to the exact place where you want to be. 10/10. This is one of the best ambient albums I've heard in a long time. What defines good ambient music is, of course, a matter of taste, but I find too often "ambient" means long-winded pieces with nothing to grab onto. Here, however, we get 18 tracks and two hours of gorgeous ambience that includes melody, texture, and occasional percussive elements. "I Share My Secrets With You" is a definite stand-out for its instantly memorable wordless female vocal hook, but every track here has a personality of its own. The album is well-paced, with tracks ranging from 3-8 minutes, so it never gets dull or overwhelming, despite its two-disc scope (I wish "Array" had been longer, but that's the one fault I can pick out). 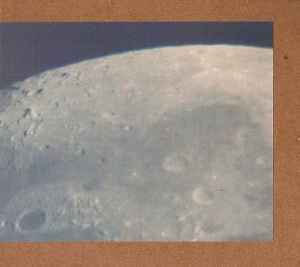 The cover shows a close-up picture of the moon, and nothing could be more appropriate; listening to this album is like floating in space, adrift from the earth, with all the beauty and melancholy that scenario entails. It seems destined to be an ambient classic, already fetching high prices online due to its limitation of 350 copies, and that status is certainly well-deserved. Outstanding ambient music. Thanks Silent Season and James Clements ! I'm happy I ordered it before the release looking at the price on the marketplace !